SIDNEY — The calendar may still say it’s January, but thoughts are turning to Valentine’s Day. 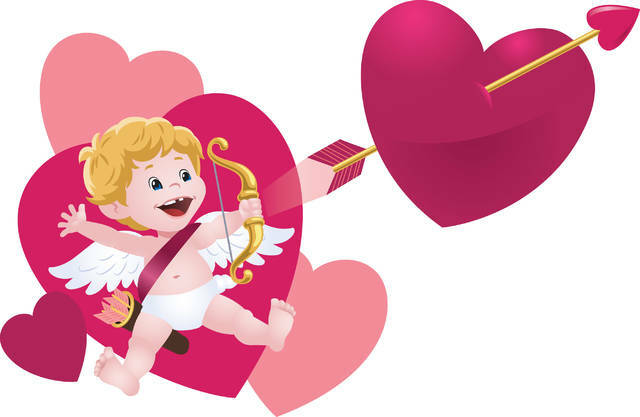 And four special words will help readers of the Sidney Daily News win prizes in a Valentine’s Day Hunt to make the day even more special. The Sidney Daily News will beging the contest, Wednesday, Jan. 23. Weekly winners will be announced and prizes awarded thanks to local businesses who are sponsoring the contest. All people entering the contest will be eligible for the grand prize — a sofa donated by Goffena Furniture. A secret word will be published in the Wednesday newspapers on Jan. 23 and 30 and Feb. 6 and 13. An entry form along with the special word will be published in the newspapers. The reader must then find the special word which will appear at the end of an article in the Wednesday newspaper. At the end of the story, the following sentence will appear: “The secret word for today is …” with that week’s word. Prizes will be awarded by drawing winners’ names from all correct entries submitted each week. Prizes include the following: five dinners at Clancy’s; earrings from Allison’s Jewelers; two passes to the Shelby County Fair donated by the fair board; a hoodie, water bottle and canvas bag from Edison State Community College; jewelry from the Ivy Garland; a $25 gift card to Ron & Nita’s; a coupon for discounted car detailing by Helman Brothers; a room for a night with a rose and Winans Chocolate at Comfort Inn in Piqua; car care packages from Sidney Tire and Best One; a $25 gift card to Small Town Boutique; a gift basket from Landings of Sidney; a gift card to Massage by Lois; a $25 gift card to Bob Evans donated by Sidney CarStar; a $50 gift card to Cinemark movies donated by Miami Valley Centre Mall; two tickets to a Dayton Dragons game; two tickets to WWE Smackdown; and a book, “Images of the Land,” and a video, “Moving a Nation,” from Gateway Arts Council. Entry forms, along with the page number the secret word appears on, must be turned in at the newspaper, 1451 N. Vandemark Road, by 5 p.m. Friday for that week’s contest. No copies of the entry form will be accepted. Only one entry per person per week will be permitted. The newspaper is not responsible for misdirected mail or illegible entries. All entries will be eligible for the grand prize. Each person who enters the contest every week will have four entries in the drawing for the grand prize. Employees and immediate family members of Aim Media Midwest and the Sidney Daily News are not eligible for the contest.